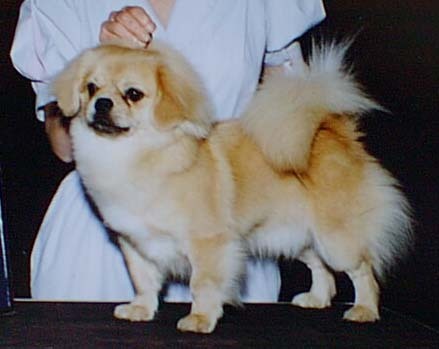 Chip is a Tibetan Spaniel. We bought him for Corrie for her 5th birthday. The Tibbie breed is nothing short of outstanding in its dedication and loyalty to family. feet warm. He would travel room to room at night to make sure everyone was protected. and the Tibetan Mastiff's would go out to see who was approaching. He was also known as the Foot Warmer of the Dahli Lama's. that something was wrong. It was snowing and Chip would never wander off alone. trust a dog outside alone, no matter how well trained or homebound they are. They just are not safe. I'm sorry Chipster. I miss you. My feet are cold every night. You were the best little dog in the West. Be well my friend.